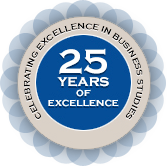 Two year MBA Training is a complete professional studyÂ and training designed for students and working professionals. Two year MBA Training is a complete professional study and training designed for students and working professionals. The program takes the student through various major areas of mastering business. Note 1: GST of 18% applicable as per Govt of India notification on total course fees. Note 2: Students residing outside India need to pay additional fee towards courier charges. Some institutes copying NIBM mode of operation and admitting students with insufficient services and their lack of knowledge.Â My friend joined one of the institutes and explained about their pathetic services. . So I advise all of you not to get trapped in their services. NIBM courses are so effective that it has helped me in the advancement of my career. I am very much happy over the Institute with a big host of great services and updated curriculum. The website of NIBM is really nice and informative and it has cleared all my doubts about the courses, joining the Institute, and Fees. It is great that the Institute updates its website in time. NIBM opened a way to my career and the 2 year Training programme in HR & Marketing was designed focusing on the industry needs and fulfills what the industry needs. There are hugeÂ options of electives available which help the students to study where the interest lies. I wish to state that i have done my MBA Training programme from NIBM. I got job in Delhi Transport Corporation. I have achieved this position due to your prestigious institute only. I thank you from the core of my heart. The support NIBM gives to its students is immaculate. They do have round-the-clock web support, online support services, and an e-journal. The e-journal of NIBM is really worth to read as it has all the updated happening in the current business scenario. Its the ease in payment that attracted me to NIBM. It is true that NIBM is the only Institute in India that offers courses that is value for money. Moreover, there are no hidden cost factors at NIBM. I was desperate searching for an institute that renders the best of Management Training Programmes. It was my friend who pointed out the name of NIBM. I browsed through their website and was completely convinced about their updated curriculum, and the processes.